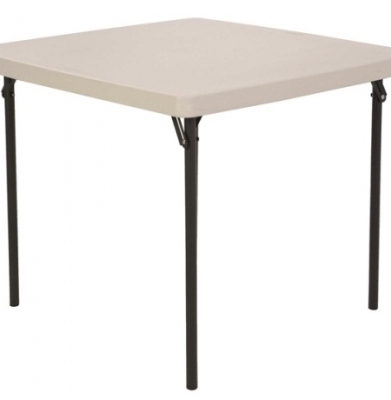 $7.00 For one to three days….. $1.00 For additional days….. $11.00 For seven days….. Table Top is 30″ X 30″. Seats 4 people. 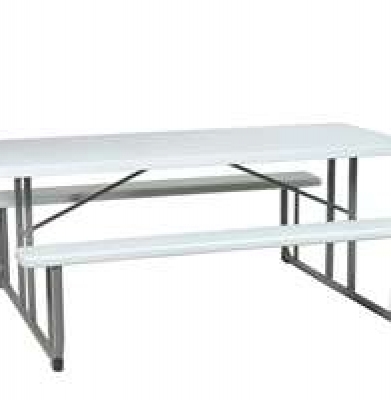 Legs on these tables fold up for easy transportation. 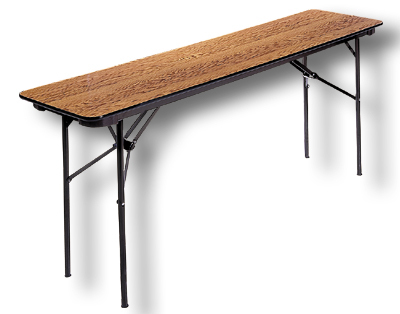 $13.00 For one to three days….. $1.00 For additional days….. $17.00 For seven days….. Conference tables are 18″ wide by 8′ long. Legs fold up to ease transportation. Perfect for safety meetings or computer use. 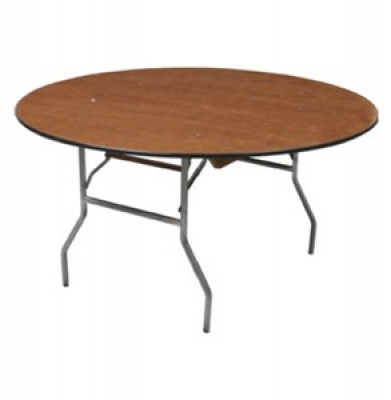 $14.00 For one to three days….. $1.00 For additional days….. $18.00 For seven days….. Table Top is 30″ in Diameter. Height is adjustable at 30″, 36″ or 42″. 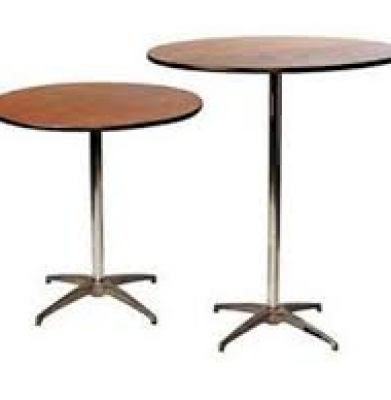 Tables break down into three pieces to ease transportation. 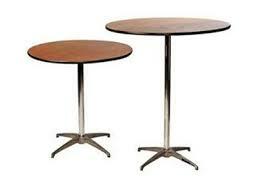 Commonly referred to as high top or pub table. 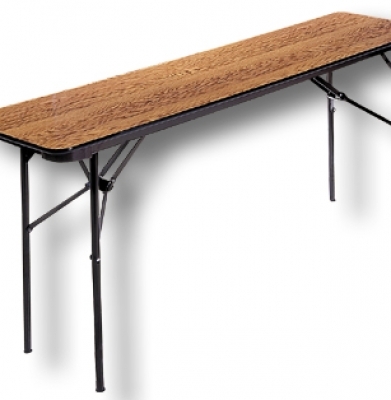 $40.00 For one to three days….. $10.00 For additional days $80.00 For seven days… Table top is 30″ X 6′ long. Seats approximately 6 to 8 people. 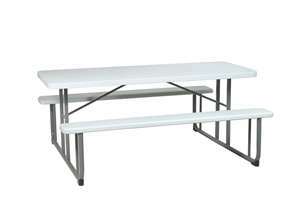 Tables fold flat for transportation. Cannot be transported in an SUV or mini van. Weights 90 lbs. $14.00 For one to three days….. $1.00 For additional days….. $18.00 For seven days….. 72″ diameter. 62 lbs. Seats 8 to 10 people. 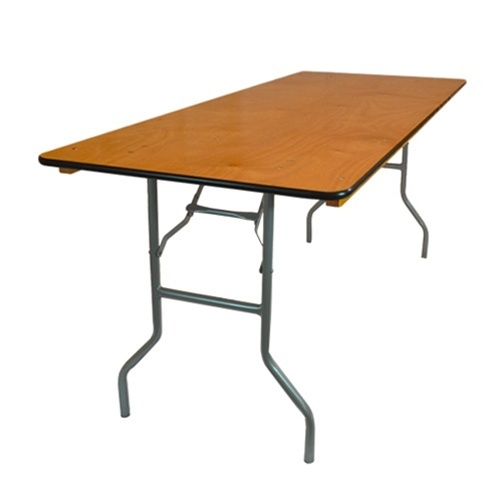 Tables cannot be transported in SUV’s, Vans, and pick-ups with toppers. Must have open bed pick-up or trailer to transport. 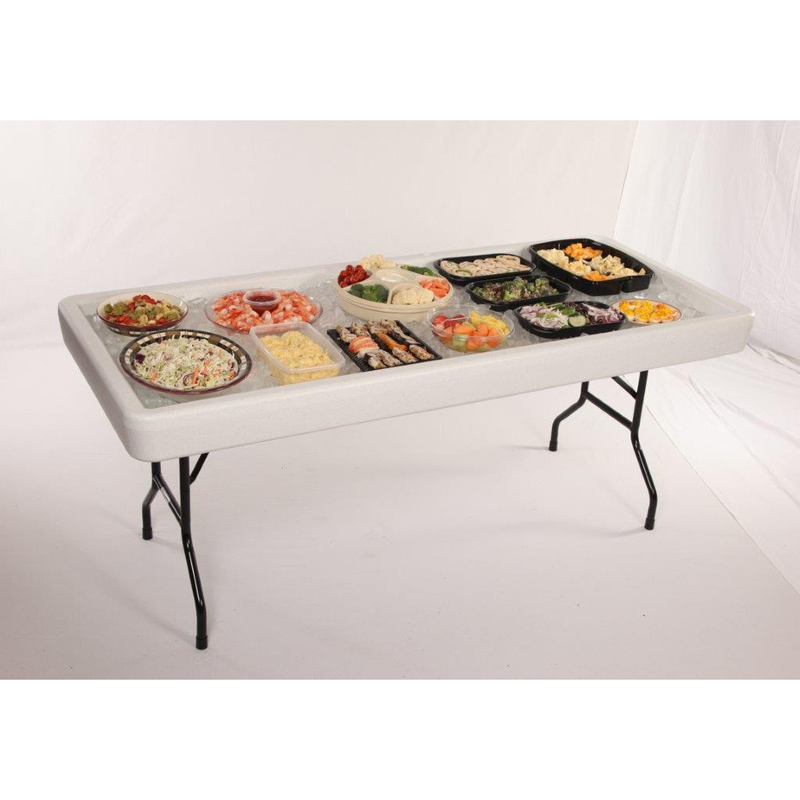 84″ vinyl disposable table covers sold here. $12.00 For one to three days….. $1.00 For additional days….. $16.00 For seven days….. 60″ diameter. 45 lbs. Seats 6 to 8 people. Tables cannot be transported in SUV’s or mini vans. For more convenient transporting 4′ round are a great alternative. 84″ vinyl disposable table covers sold here. $11.00 For one to three days….. $1.00 For additional days….. $15.00 For seven days….. 48″ Diameter. 40 lbs. Tables eat 4 to 6 people. 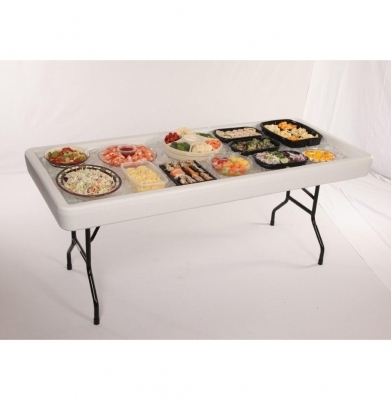 84″ vinyl disposable table covers sold here. $10.00 From one to three days….. $1.00 Per additional days…. $14.00 For Seven Days…….. 30″ X 6′. 43 Pounds. Tables seats 6 to 8 people. 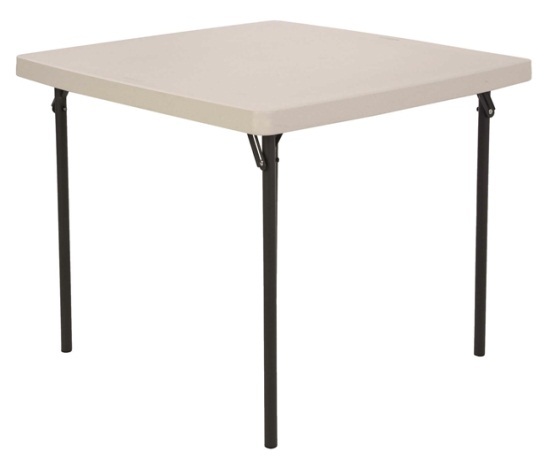 54″ x 108″ vinyl disposable table covers sold here.